Waves on one side: $110/ per sq. ft. Waves on both sides: $150/ per sq. ft.
A study in rhythm, the geometric pattern established by the precise, narrow slits is contrasted with the gentle curves which fit the palm of your hand. 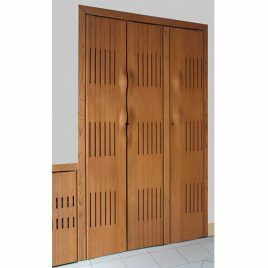 Available in various sizes and combinations of door layouts. 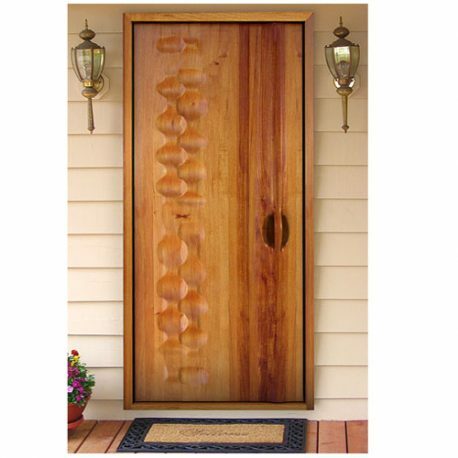 Custom door is $90/ per sq. ft. The artist’s signature chaos technique creates this fascinating texture that beckons to all who come knocking. The seemingly random curves and hollows have meaning in themselves, if only to provide great visual pleasure. 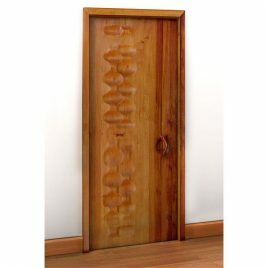 Each chaotic door can be made in custom shapes and sizes and we can incorporate glass, iron and other materials if required.